Individual silver medalist at the World Equestrian Games in Jerez in 2002, Jeanette was the pathfinder for the British team from 1999 until 2005, winning four European team gold medals, two Olympic team silver medals and one World bronze team medal with the legendary Over To You. 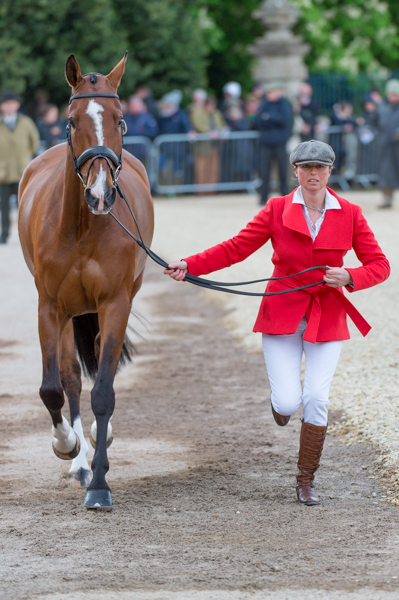 Jeanette and ‘Jack’ finished in the top 10 at Badminton five times, including a third place in 2003 when they were the only combination to complete on their dressage score. She has two Armada dishes, awarded for five completions at Badminton. Jeanette also has four top 10 placings and numerous completions at Burghley riding different horses. The daughter of a Lancashire dairy farmer, Jeanette was first ‘plonked’ on a horse at the age of four. She announced her Olympic ambitions to her family when she was eight and left school at 16 in order to fulfill that dream. Jeanette runs a busy competition yard near Uttoxeter, on the Staffordshire/Derbyshire border. As well as competing regularly throughout the season she sits on the British Eventing Safety Committee and is a member of the BE Senior Selection Panel. Jeanette is available to take clinics and give private tuition. Clinic details are listed on the website calendar – and if you would like to organise a clinic please email to discuss suitable dates. She is a British Eventing Accredited Trainer and has her UKCC level 3 coaching qualification. Jeanette produces all of her horses to the best of their ability, with their long term future careers at the heart of their training. If they have the ability to reach the top, she will enable them to do so. Jeanette is always looking for top class horses to add to her string. She also takes horses in for breaking and schooling. Working pupil positions are sometimes available. Email for more information.